Eden Mobility Rotherham at The Stag Roundabout was our second store to be opened 9 years ago and is located near Wickersley. Over the past 10 years we have supplied, serviced and repaired thousands of products and have built up a vast amount of loyal customers in Rotherham and the surrounding area. This store has a dedicated section for rise and recline chairs for you to try as well as a straight stairlift demonstration, a range of mobility scooters and powerchairs as well as hundreds of every day mobility aid products. There is ample outside the door parking with easy access to our store. We have 8 used mobility scooters that are available to view at our Rotherham store. 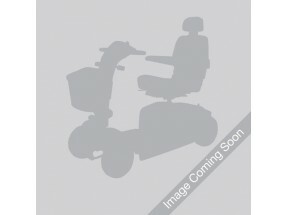 Eden Mobility in Rotherham (at the Stag Roundabout store) have a variety of mobility scooters available for purchase. Come and view our full range for yourself today. Come and take a visit to Eden Mobility in Rotherham which is located at The Stag Roundabout, to see our huge range of powerchairs that are available for purchase. If you are looking for that extra bit of comfort in your living room, come and take a look at our huge range of rise and recline chairs at Eden Mobility. Come and see us at our store at the Stag Roundabout on Wickersley Road, Rotherham, today. Straight and curved stairlifts don't have to be expensive. Come and see our live demonstration stairlift at our store in Rotherham today and our friendly team will be able to give you all of the information that you need. Come along to Eden Mobility in Rotherham (Wickersley Road) and see our selection of high quality wheelchairs that are available for purchase. Our friendly team will be more than happy to answer any questions that you may have.